It’s no secret that Artificial Intelligence (AI) is taking over our everyday lives and affecting the way we do things, but it is also beneficial in more ways than one when it comes to holidays and has the potential to make travelling safer. Well, we currently have to research the destination we want to travel to, source the best and cheapest flights available and then scour the internet to find the nicest hotel that is the best value for money in the area you’re looking to stay in – sounds quite timely, right? However, AI can help you book your next weekend away, long-haul flight or work night away and make your life much, much easier with the touch of a button. Alison is a VR chatbot that is available around the clock and can answer hundreds of questions on hotel bookings, flight deals and the best beaches to visit. Alison often refers users to FAQs on the site and various other websites that help answer your questions, but she is available to answer generic questions, such as: what paperwork needs to be brought with you on your trip and how to cancel a booking. This messenger chatbot allows users to search for hotels. It’s simple to use, you just have to type ‘@Expedia’, into the Facebook Messenger bar and then tell the autobot about your travel plans – perfect if you are arranging a last minute trip or need a little inspiration. Once you’ve finished in Messenger you will receive a link to your travel itinerary. This bot may come in handy if you’re ever travelling on a tight schedule or are collecting someone from the airport. It allows users to track real-time flight statuses. You’ll also be able to find links for airport directions and how to book a taxi – ideal if you’re travelling to a destination you’ve never visited before. This up and coming website is available through Facebook Messenger and Slack. This means you’re able to loop the chatbot into your conversations and group channels by using the ‘@’ symbol. Imagine you’re trying to arrange a work weekend away to a conference in another country, but have no idea where is best to stay or the price ranges; ask Hipmunk a question, and the chatbot will be able to reply with a variety of options. Carla: Ever needed a hand with packing your suitcase? 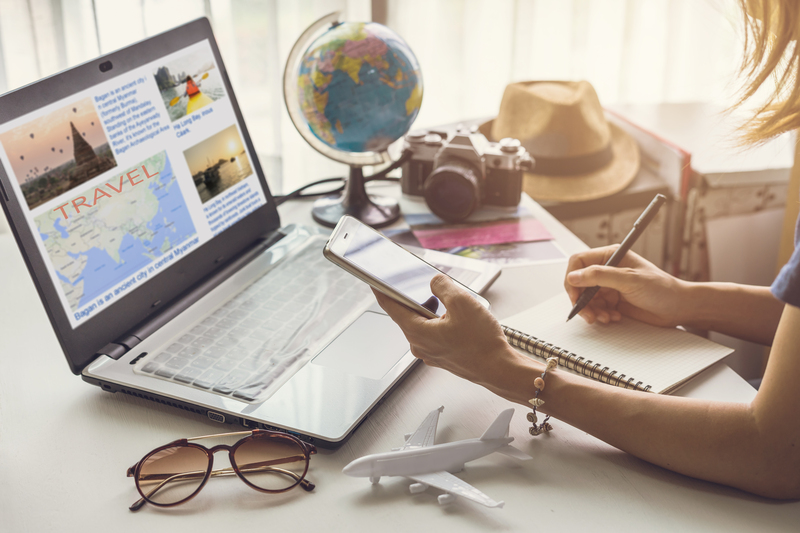 Gone are the days of researching which adaptor you need to take on holiday; your very own travel assistant will have memorised this information and can inform you whilst you pack your suitcase. This isn’t the only thing Carla can help you with – it is the gentle reminder that you need to pack your passport, booking confirmation, travel insurance information and other important travel documents. These chatbots are the future of travel and are going to help millions of people make informed choices about where they travel to – even if you’re only travelling close to home. Although travel chatbots have only just started making their way into everyday life, their functions and understandings will only improve as time goes on. The future looks very smart and useful when it comes to booking trips away. Which chatbot will you be using to book your getaways with?